Samsung recently introduced Galaxy Note 8 smartphone, Samsung is working on Galaxy S9 series which is expected to have dual Rear Camera. Now According to a new report, Samsung to introduce the Galaxy S9 to the public earlier than usual in January. The phone’s OLED display panels will allegedly start shipping to Samsung in November, two months in advance of the Galaxy S8 whose screen shipments started in January 2017. Samsung is prepping to unveil the Galaxy S9 in January, not in March or April, the usual time frame of the new Galaxy S flagship launch. 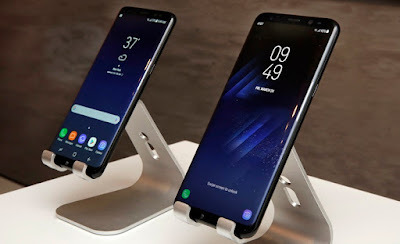 Samsung has already placed an order for the 5.8-inch and 6.2-inch Infinity Display panels for Galaxy S9 and Galaxy S9+, respectively.Samsung Galaxy S9 to feature a Snapdragon 845 processor, at least 6GB of RAM and a dual-camera. running Android O out of box. Finally, the report claims that an early launch for the Galaxy S9 will help Samsung to compete against the Apple iPhone 8, which is releasing in September this year.